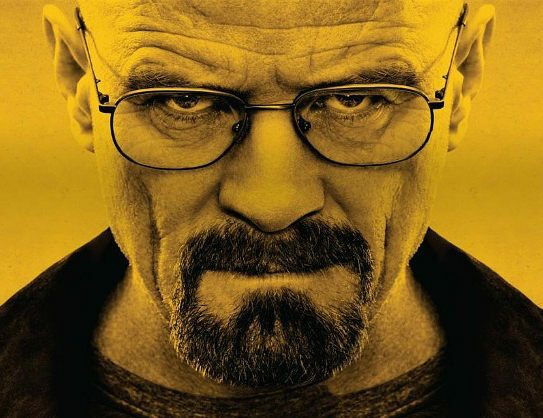 So the “Breaking Bad” TV series has ended, and with it the career of the chemist and criminal mastermind Walter White. It was nice in a macabre way to see a technical person portrayed as dangerous and alluring, rather than the usual hapless nerd. So it caused me to wonder: are there any actual criminals with some kind of technical background? How often do fine, upstanding scientists and engineers break to the bad side? Unlike the people I described in Beautiful Inventors and Political Inventors, they are NOT going to get patents on their nefarious schemes, but perhaps they have more lucrative ways to display their ingenuity. Well, gentleman do you know, I consider Mr. Maxim to be one of the greatest benefactors the world has ever known. I should say that you have prevented more men from dying of old age than any other man was has ever lived. He beats out even Fritz Haber, of mustard gas, and Robert Oppenheimer, of fission bombs, in terms of number killed by his handiwork. Yet all three did their work with the blessing and encouragement of their societies, and were given medals instead of prison sentences. This is either the perfect crime, or a case of seeing a pattern where none exists. There was a series of unusual fires in industrial buildings around Seattle in the 1980s. People reported seeing a bright white light and then copious smoke, and the building would then burn in minutes. They would find melted steel girders in the wreckage, implying temperatures above 2500 F, and concrete would be turned a blue-green color and become brittle. The buildings would go into “flashover”, where the air temperature exceeds 1000 F and all combustible material ignites. However, no evidence of accelerants, such as containers or igniters, were ever found, perhaps because they were destroyed by the heat. There were five such fires between 1984 and 1989, and in the last a Seattle fire lieutenant was killed. That’s when things got serious, and the Seattle FD called in the ATF and national labs like Sandia and Livermore. There was a separate motivation for the work because of the attack on the warship USS Stark in 1987. An Iraqi warplane hit it with two Exocet missiles while it was patrolling off the coast of Saudi Arabia. 37 people were killed, largely by a fire caused the solid fuel propellant of the missiles. So the labs tested the fire effects of various high temperature fuels. They tried thermite (aluminum + iron oxide), but couldn’t get the observed effects. Then they tried solid rocket fuel, a mixture of powdered aluminum and ammonium perchlorate, which provides the oxygen. It produced the white light and heavy smoke that had been seen at the fires. Word went out to fire departments all across the country to be on the lookout for such fires. Dozens of possible cases were found. An ATF agent, Steve Carman, did a detailed report on them, “High Temperature Accelerant Fires”, that was able to dismiss most of them. Only the original Seattle fires look to have been done this way. (Carman, by the way, now has his own fire investigation firm. His job cries out for being made into a TV series.) No other fires since then seem to have used HTA, though some allege that it was involved in bringing down the World Trade Center. It would be rare in the annals of crime for someone to find a successful scheme and then stop using it. It would be especially rare in arson, since fire can literally drive people crazy. It’s our oldest tool, one we have co-evolved with for two million years, and is so deep in our psyche that it has its own DSM entry. Still, maybe this is one case where the criminal gave it up, either because the cops got wise, or because someone died. Or maybe these fires had nothing to do with one another, or the reports were inaccurate, or they were caused by electrical shorts. It’s now been long enough that we’ll likely never know. With great profits come great ingenuity, and that’s been copiously demonstrated in drug smuggling. One of the few schemes there that has a specific person identified with it are towed submersibles for moving cocaine, narco torpedoes. Smuggling by plane from Columbia to Mexico or the US became harder and harder in the 90s, so they turned to this. Dr Montoya managed the initial design and construction in the late 90s. He had somehow gotten involved in drugs ten years earlier in the reign of Pablo Escobar, but left it in 2004 and wrote a book about his experience, “”Ayer Médico, Hoy Narco – El Mexicano que Quizo ser Pablo Escobar“. The concept was to load up the sub with three tons of cocaine (worth $24M in Mexico), and tow it behind a fishing boat. It would travel at a depth of 100 feet and be impossible to spot by sea or air. If the boat was stopped (and about 10% were), the tow line would be cut. After some time the torpedo would release a radio buoy with a GPS that would transmit its coordinates so that it could be recovered. Quick, cheap, safe, profitable: everything you want in an engineering project except for the massively illegal part. But this was just the beginning. They’re now building actual manned submarines in jungle-hidden coves of the Columbian coast. They’re up to 90 feet long, with diesel engines and snorkels, and are built out of Kevlar and fiberglass to fool radar, and probably for easy-to-conceal construction. The police have found documents in Russian and French around them, so they’re getting help from somewhere. They’ve corrupted some Columbian naval officers too, another source of expertise. They must be wildly unsafe, and so are crewed by people either desperate or threatened. They don’t strike me as being as good as the unmanned submersibles, since they’re harder to hide, more expensive, and easier to track at sea. There’s lots of work these days on autonomous underwater vehicles for tasks like oceanographic sensing or mine sweeping. If the people at Bluefin Robotics ever lose their AUV contracts for the US Navy, there might be a more lucrative use of their skills. This king of con men had a particularly nice scam – he would befriend people on trans-Atlantic cruises, and when they wondered about his obvious wealth, confide in them about his money box. It could copy $100 bills, but took six hours to do so. He showed off its complex clockwork mechanisms, and demonstrated it for them by putting one bill in and getting two out. When they wondered if they could get one, he would demur and say that several other parties were interested. A bidding war would ensue, which would run up into tens of thousands of dollars. After a couple of more bills were printed, the machine would only print blank slips, having run out of the bills it was seeded with. By that time the ship had docked and Lustig was long gone. This was beautiful in several ways – it needed little capital to start, it was easy to make the getaway, and the mark couldn’t complain to the police. “Officer, I tried to use this counterfeiting machine and it didn’t work!” He did it a number of times, but then pulled off an even more astonishing con – he sold the Eiffel Tower. In 1925 it was rusting away because of the expense of painting it. He posed as a government minister in charge of organizing its demolition and met with six Parisian scrap metal dealers. One of them, one Andres Poussin, was interested, but his wife was suspicious. Shouldn’t there be more press about this? Lustig then revealed that he was doing this on the sly because of his meager government salary. Poussin understood perfectly, and added a $20,000 bribe on top of the $50,000 fee. Lustig was ultimately caught in the United States on a real counterfeiting charge. He had teamed up with a chemist to get the right inks and papers, and had put out millions in fake bills. They got him in 1935 when his mistress ratted him out after he had had an affair with his partner’s mistress. Can’t fool all of the people all of the time. He did manage to escape the day before his trial by tying some bedsheets together and going out the prison window in Manhattan. He pretended to be a window washer, and swiped at a few as he made his way down to the ground in broad daylight, and none of the passing pedestrians thought anything of it. That’s getting up to Jedi mind power levels. They caught him again, though, and he spent the rest of his days in Alcatraz, dying there in 1947. His is another story that cries out for a bio-pic. Still, it appears overall as though very few criminals do anything ingenious. Despite being a staple of pulp fiction, mad scientists and inventors are pretty rare. Crime doesn’t actually pay, of course, and it’s hard to recruit staff when the penalty for failure is jail instead of lost stock options. Walter White found more satisfaction in a life of crime than he did as a high school chemistry teacher, but few others appear to. This entry was posted in Uncategorized and tagged inventing, tech-history. Bookmark the permalink.